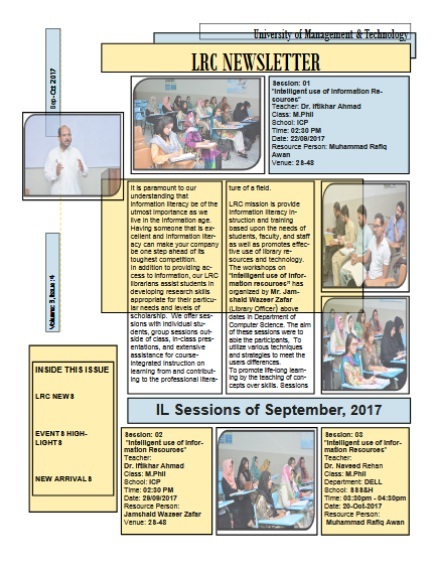 These newsletters are produced bimonthly to share the activities of Learning Resource Center(LRC). It brings up-to-date information on library events, programs and library news. The current awareness services are provided through this newsletter. Prominent new arrivals are update along with their pictures. Just click on the relevant month to view the newsletter for that period.